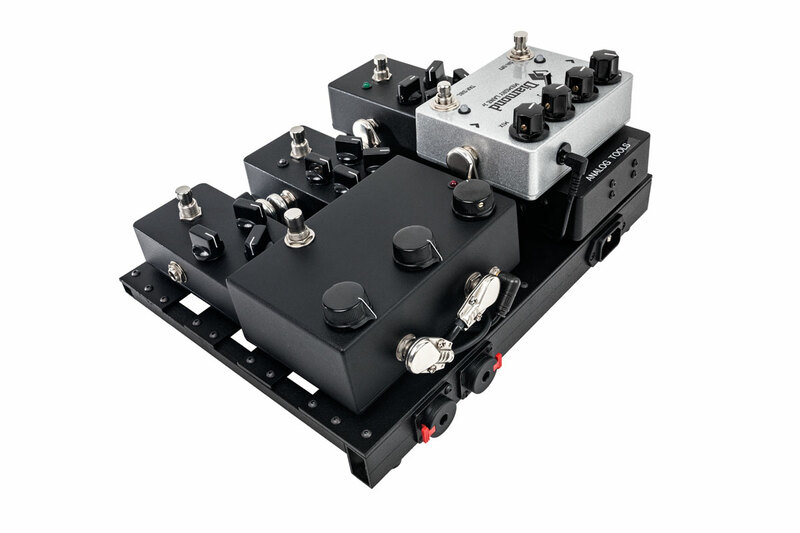 Small ‘fly date’ pedalboard designed to be as compact as possible while still offering the user a variety of tonal options. The system is powered by a modded T-Rex power supply. Si/Ge fuzz — Re-housed Paul C. Timmy — Re-housed Fulltone ’69 mk1 — Re-housed Silver Klon Centaur — Diamond Memory Lane Jr. The aluminum board measures 40cm x 35cm x 2cm. Small size and light weight!